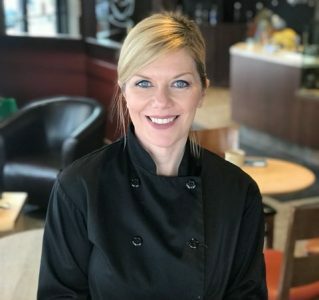 There are many foods that I call blank canvas foods, I describe these foods as such because they can really take on any flavour you want them to due to their neutral taste. Mashed potatoes has to be one of the best blank canvas foods out there. This is my basic but amazing recipe for mashed potatoes. Once you get these right you can have fun adding things to change them up, try adding a bit of sour cream, shredded cheddar and green onions or some roasted garlic and basil oil, truffle oil with small flecks of real truffle would be out of this world or substitute duck fat for the butter and add a touch of nutmeg and watch people close their eyes with pleasure as they eat them. 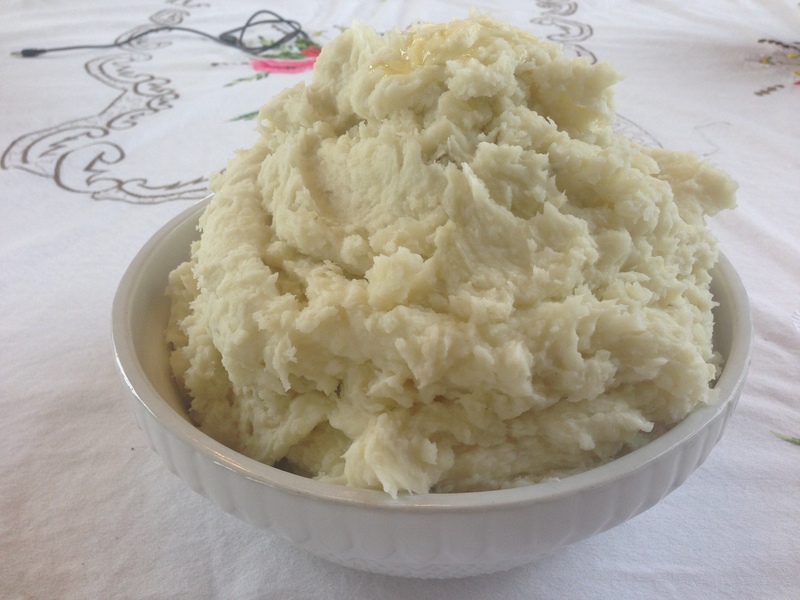 Keep in mind when making mashed potatoes to make about 1.5 potatoes per person you want to serve. people generally load up on them especially if there’s gravy. If you ever think you haven’t made enough potatoes and you don’t have time to make more, load up on the bread basket, people tend to go for less potatoes if they are also having bread. A couple of rules with mashed potatoes, these are the non negotiables whereas everything else is up for creative change. When making mashed potatoes you must use a starchy potato as opposed to a waxy potato, I like to stay in the russet potato family, they are always available and inexpensive, you can opt for the general red potato, it’s slightly less starchy and has some waxy elements to it but it will work. You cannot whip new potatoes or waxy potatoes, you will get a gluey, shiny, sloppy result that is not very appealing. The second rule is you need to use fresh potatoes, not the potatoes that are sprouting and are a bit soft, again you won’t get the light fluffy potatoes, you’ll get a gluey mess. Third, always work with the potatoes when they are hot, you cannot whip cold or luke warm potatoes. 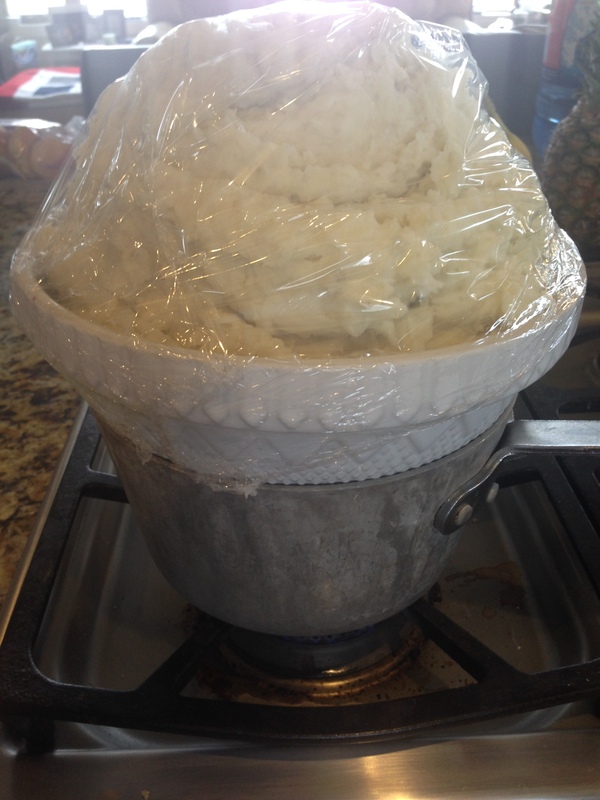 Make sure once you’ve strained the potatoes, you have time to mash and whip them until they are perfect. I recommend you always make the mashed potatoes ahead of time especially if you’re having guests, we all get anxious at the thought of mashing the potatoes in front of people, trying to strain the potatoes in our nice clothes while trying not to wreck our hair and makeup with the steam as they strain and then dealing with the many, many dishes that result from the process… make the potatoes up to two hours ahead by simply mashing them and placing the finished potatoes in the serving bowl covered with plastic wrap over a pot of simmering water. We do it in restaurants as a rule and they are awesome, the steam bath will actually keep them fluffier and all your guests see is a beautiful bowl mounded with fluffy potatoes, ready to go. Add the potatoes to the large pot and fill with cold water, enough to cover 3-4 inches above, add salt to the water and bring to a boil, turn heat to medium keeping the water at a low boil. Boil until fork tender, the potato drops off the fork easily when inserted. Drain all of the water (reserve some of the potato water to make potato bread, recipe coming soon). Place the potatoes back on the burner with the heat turned to low, leave them there for a minute or two to dry out the potatoes as much as you can without cooling them at all, dryer potatoes are fluffier and will mash better. Mash potatoes really well with a hand masher until most of the big pieces are gone. Warm up the milk in the microwave until it’s on the hot side of warm, you do not want to add cold milk to hot potatoes, it will make gluey potatoes. Add the milk, butter and seasonings to the potatoes and whip on high with a hand mixer until ligh and fluffy, make sure you get all the way to the bottom. The whipping process takes about 3-4 minutes but if you notice it gets gluey at all, stop whipping. Taste for seasoning and adjust if necessary, remember the gravy is also seasoned and will add a saltiness to the potatoes, so do not over salt. Place potatoes into a serving bowl and cover with plastic. place the bowl over a simmering pot of water until needed and take the opportunity to clean up the dishes before the guests arrive. Leftover potatoes (if you have some) are great for toppings on shephard’s pie, pot pie, they make great hush puppies or gnocchi, save the leftovers and make a second meal later in the week.These are very family friendly and most people love them, I hope you love them too, enjoy!